"More than a watch, Tissot, Innovators by Tradition, Swiss Watches Since 1853" And nothing justifies this tagline more than the new Chemin Des Tourelles collection that Tissot only recently launched! This new Valentine collection screams elegance with some intricately crafted timeless pieces. Watches are a fashion statement in themselves and Tissot made sure it's a bold one with it's new collection. Some big bold and uber stylish dials instantly had my heart at the first glance. Luxurious finishes and design details seamlessly link tradition with contemporary styling for wearers who appreciate the complexity of a superb timepiece. Formal or an informal event, this versatile collection is set to cover a wide palate and is sure to steal your heart with some big bold straps on one hand and some elegant chains on the other. 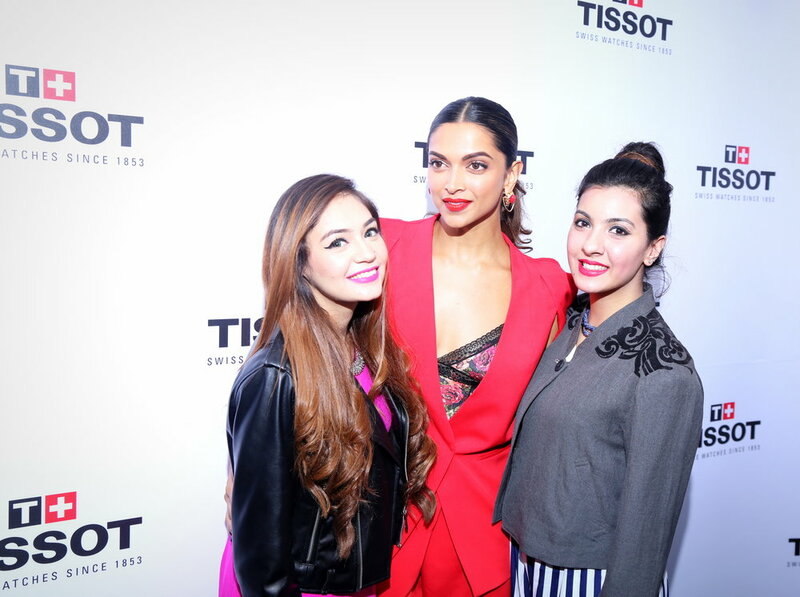 For those of you following me on snapchat and instagram, You guys might know that I recently attended the launch event of this collection where I had the amazing opportunity to meet Deepika Padukone.